My boys are very lucky to have all four of their grandparents living relatively close to us. 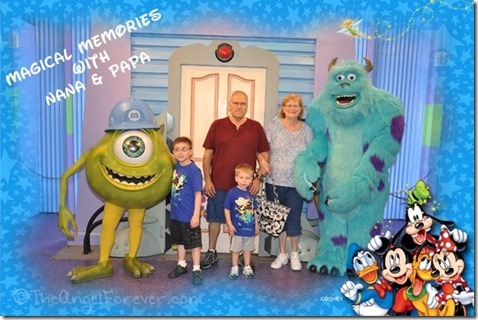 They typically see Nana and Papa several times a week. They have also gone with us to Walt Disney World twice. 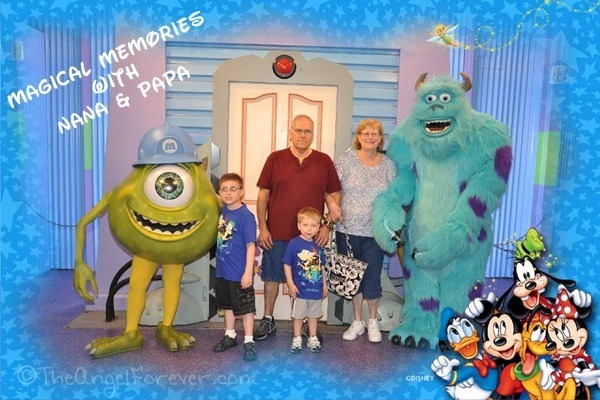 Since TechyDad’s parents live several hours away, the boys do not see Bubbe and Grandpa as much during the winter months. Growing up, all of my grandparents lived in the same city. I have so many memories of going to my Nana and Papa’s house as a child. They had a giant in-ground pool. We would often walk to their house with neighborhood children to spend hours in the pool, eat watermelon, BBQ, or just hang out until it was time to swim again. I really need to find some of photos that we have from the times spent there with family and friends. So many amazing memories that I want to share with all of the boys. TechyDad never met either of them and I want to let them know more about the people that they are named for. We also spent a lot of time with my Mimi and Poppy. They lived close to us as well. I remember the swing set that was in their old house, playing with their dog Snoopy, and having countless Shabbat dinners with them. 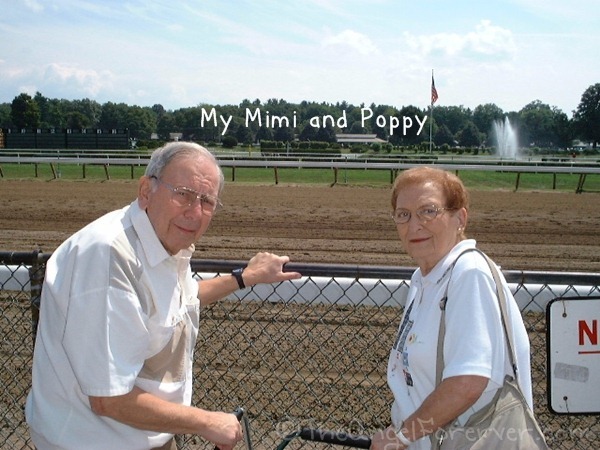 TechyDad was able to get to know Mimi and Poppy. 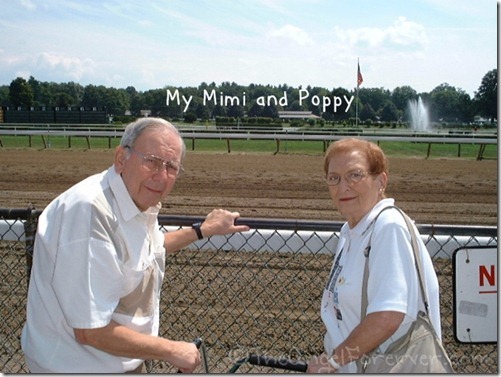 A few months after we were married, I remember heading up to Saratoga to the track with my parents, Mimi, and Poppy. We had an amazing time in the sun. We were able to relax, enjoy the time together, and watch the horses. When NHL was born, he had three great grandparents. Jason’s grandmother, along with Mimi and Poppy were important parts of his life. As the first great grandchild for all of them, we made sure he visited them often. 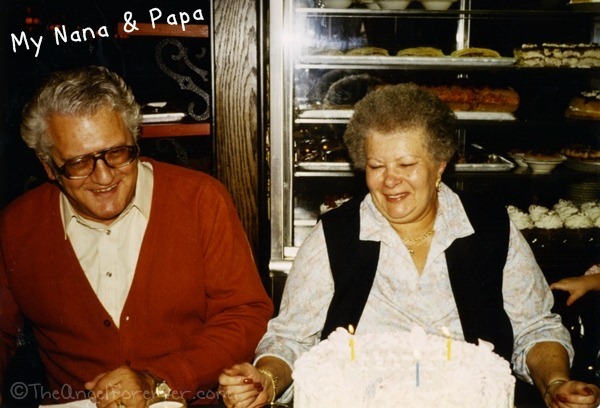 NHL still recalls going to see Poppy at the nursing home where they would eat Dunkin Donuts and ice cream together. JSL met Great Grandma a few times before she passed away, but never met Poppy. Instead he proudly carries on his name. I smile each day knowing that the boys are named for Nana, Papa, Poppy, and Jason’s grandfather. Today we will be spending time with Mimi. She is a special part of our lives. The kids adore being with her whenever possible. She honestly spoils them, but that’s what great grandparents are for. I know today we will be making more memories together that the boys and I will always cherish. P.S. Mimi – this post was not meant to make you cry (though I am sitting here with tears in my eyes as I type). I know you read this and wanted to do something special since I just found a lot of great photos from years ago.